The production of artificial or synthetic fibers has become a substantial share of textile industry worldwide. Synthetic fibers have many advantages over traditional fabrics. They are easier to manufacture, since they do not depend on resources like animals or crops, which make them much cheaper.  They are also friendlier in use; they are easier to wash and dry, and most important, much stronger and durable than natural fibers. Spin Finish, also known as Oil Pick-Up (OPU) or Finish on Yarn (FOY), is an oil-based coating industrially sprayed on synthetic fibers to improve their quality. The addition of oil increases the fibers’ strength, tenacity, and resilience, and makes them antistatic and easier to dye. Some of the most well-known synthetic fibers are Polyester, Nylon, Acrylic, Modacrylic and Carbon fiber. 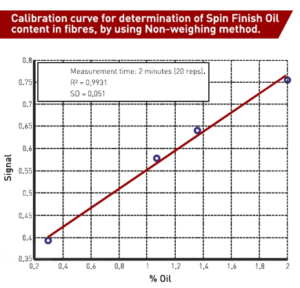 Spinlock has developed an analytical technique with NMR Spectroscopy to determine the amount Spin Finish content in fibers. The SLK-200 can be configured to two methods, Weighing and Non-weighing, each with specific advantages. On one hand, the Weighing method achieves a higher accuracy and repeatability, desired when small amounts of samples are measured. Non-weighing method, on the other hand, emphasizes quantity. Time is considerably reduced by avoiding the preparation and weighting of the samples in the process.